DHAKA, Bangladesh (AP) — The night watchman was dozing in a wooden chair just after midnight on a deserted Bangladeshi street when he was startled by a scream. A group of men were pulling two people from a car and forcing them into a black microbus; "The two guys were shouting, 'Save us,'" before the car pulled away, Lutfar Rahman said. The abductions of an opposition politician and his driver last month have sparked Bangladesh's biggest crisis in years, raised hostilities between the most prominent leaders of its fragile democracy and highlighted dozens of seemingly political disappearances. 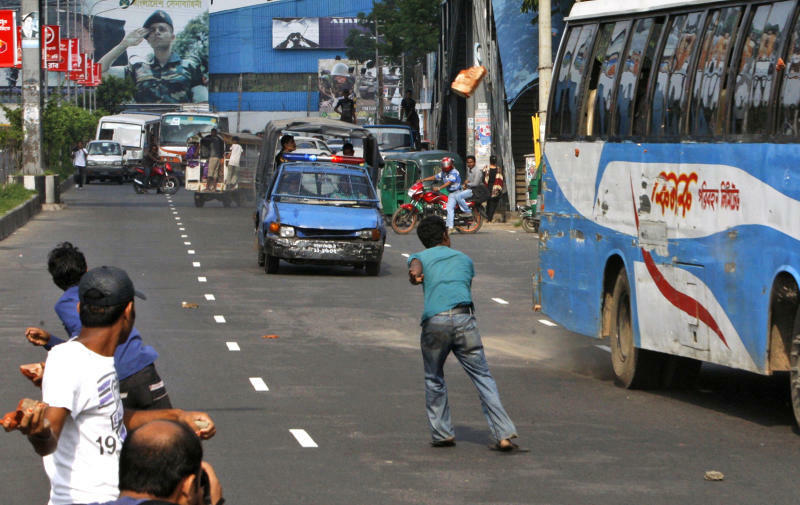 The opposition has blamed the government, launched nationwide strikes and fought with police in street clashes that have killed five people and injured scores. Homemade bombs have exploded on the streets of Dhaka, including one inside a compound housing government ministries. The government has charged 44 top opposition leaders in connection with the violence. On Wednesday, the main opposition Bangladesh Nationalist Party vowed to resume demonstrations across the country along with 17 allied parties..
No one has claimed responsibility for Elias Ali's abduction, and no ransom has been demanded, the usual practice of criminal gangs in Bangladesh. Security forces told the High Court this week they had no role in Ali's disappearance, and Prime Minister Sheikh Hasina accused the opposition of hiding Ali to create an excuse to cause mayhem. Hasina, however, later pledged to do everything possible to find Ali, when his wife and children met her seeking her intervention. 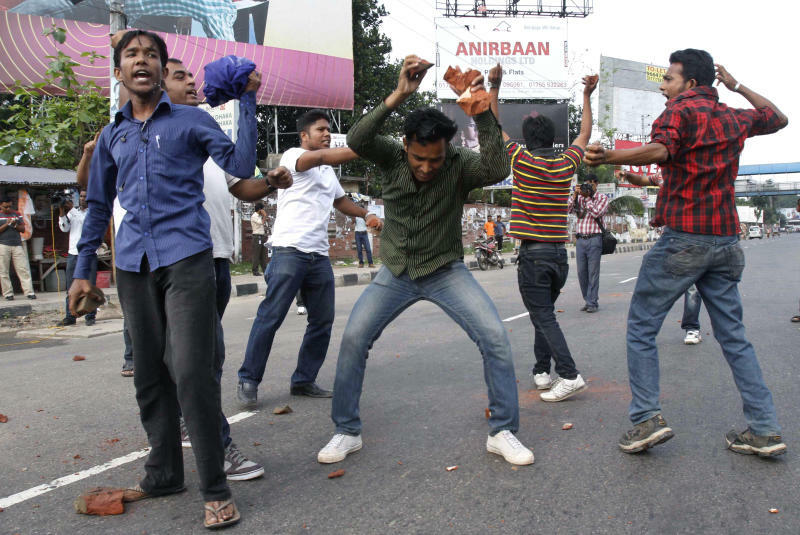 "The conflict is pushing Bangladesh toward a dangerous situation," said Adilur Rahman, secretary of Odhikar, a rights group. Hasina and her archrival Khaleda Zia have alternated in power since a pro-democracy movement ousted the last military regime in 1990. Zia leads Ali's Bangladesh Nationalist Party. The abductions of Ali and his driver as they returned home from meeting supporters at a hotel April 17 also has highlighted an increasing number of disappearances that Amnesty International and Human Rights Watch have blamed on security forces. At least 22 people have disappeared this year, according to a local human-rights group, Ain-o-Salish Kendra. Odhikar reports that more than 50 people have disappeared since 2010. Many of the disappeared were politicians. During her visit to Bangladesh last week, U.S. Secretary of State Hillary Rodham Clinton raised Ali's disappearance and the killing of labor leader Aminul Islam with the government, reflecting international concern over the issue. Islam, who recently led a campaign for higher wages for the country's 3 million garment workers, was found dead along a highway April 5. His family blames the killing on law enforcement agencies. Even before Ali's disappearance, tensions were high between Hasina and Zia over the conduct of the general election due in 2014. Hasina has scrapped a constitutional provision requiring the government to step down before polls and transfer power to a neutral caretaker administration to oversee the voting within 90 days. The government says it acted to comply with a court ruling that the caretaker provision was undemocratic, but it means Hasina will be overseeing the next balloting. Zia has refused to take part in any election overseen by Hasina, fearing fraud. The government says it is open to discuss alternatives, but the opposition says they will sit across the table only if the previous sytem will be restored. The government rejects that. A similar dispute in 2006 prompted the powerful military to declare a state of emergency that remained until the 2008 election. Both Hasina and Zia were put behind bars during the emergency rule. Many businessmen also were jailed pending tax evasion and fraud trials, and some fled to avoid arrest. But the cases were withdrawn or not heard when the political government took office. "We don't want to return to any emergency rule," said A.K. Azad, president of the Federation of Bangladesh Commerce and Industry. "What we want is our leaders to work together so there is no more strikes and clashes." Ali, 50, has lived dangerously since becoming a student at Dhaka University, considered a breeding ground of Bangladesh's politicians. He was recruited into a student political group by the country's last military dictator Hussein Muhammad Ershad, according to friends. He then joined a group allied with the Bangladesh Nationalist Party, sparking feuding and occasional gunfights among rival factions of Zia's party. He was briefly arrested, later elected to Parliament and then swept out in 2008 by Prime Minister Sheikh Hasina's Awami League party. The opposition, which suspended its street protests in a gesture of goodwill during Clinton's visit, has vowed to resume strikes if Ali is not found. His family wonders if he is even alive. "We have left his fate to Allah," said Ali's teenage son, Abrar Elias, "The Almighty is our last resort."